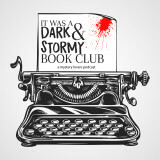 Delivering a shout-out to Dark and Stormy Book Club for hosting me on the podcast Saturday, August 25. The podcast is now live for you to enjoy. We talked about the inspiration for Isabella’s Painting, the Gardner Museum art heist, and mystery writing in general. The ladies brought some of their own knowledge to the table as the book spurred some of their own research into the 1990 theft of $500 million worth of art. To listen to the interview in its entirety, click here.